Gonna cut to the chase here… the picture above is the result of a decade of hoarding. 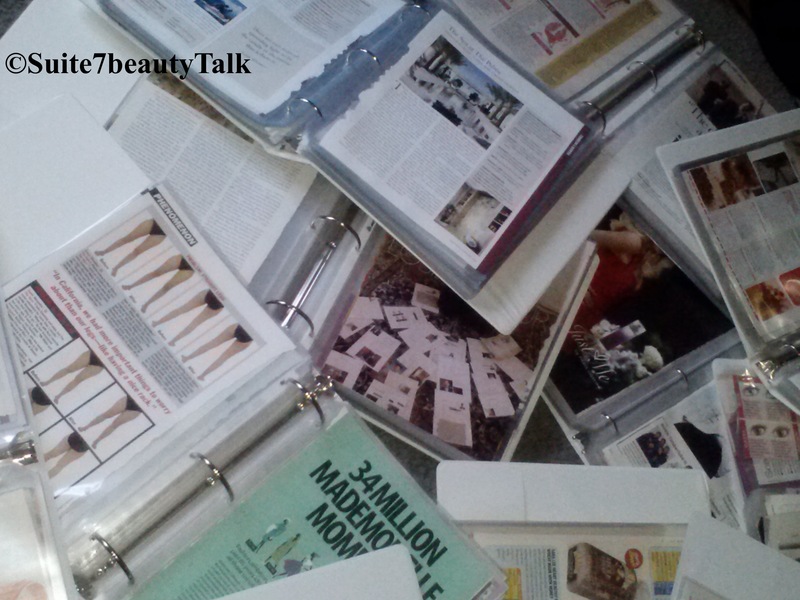 For over ten years, I had an out of control addiction to beauty magazines – Allure, In Style, Lucky, Essence, Jet, Honey, Vibe, Shape, Self, Glamour, Redbook, Mode, Vogue, Mademoiselle, Women’s Health, Fitness, People and a few others.. I spent hundreds annually on glamorously glossy images and though I tried repeatedly to cut back, I’d quickly return with the first “We Miss You” postcard or e-mail. And for someone who organizes just about anything, and actually thrives better in a minimal environment, a stack of magazines piled higher than my desk, than my windowsill even, was draining and felt overwhelming at times. I had a pile of magazines in my office, almost as tall as me. Mostly unread because I couldn’t keep up with the delivery pace, so when a new one arrived, I’d add it to the pile with the promise to set aside some time & go through them all. A promise that was never kept, not for years anyway. And when I finally got around to this tedious project in 2008, I quickly realized how much money I’d been wasting all those years. Thousands of dollars – wasted. 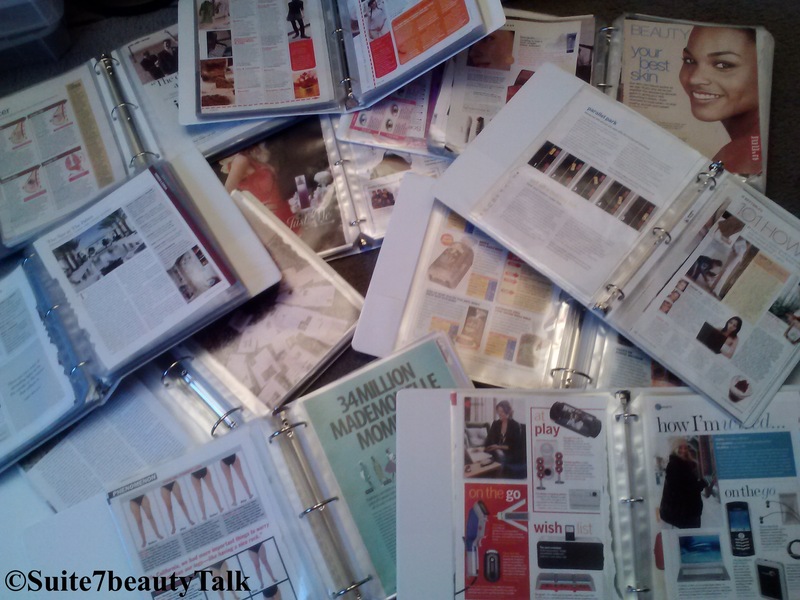 Ultimately, I decided to keep the articles and features that really interested me and toss the fluff. Separate the substance from the suckery, if you will. The “Suckery” is what really annoyed me and after seeing it back to back, page after page, issue after issue, it became pretty clear, pretty fast that I had to put an end to my hoarding & pronto! 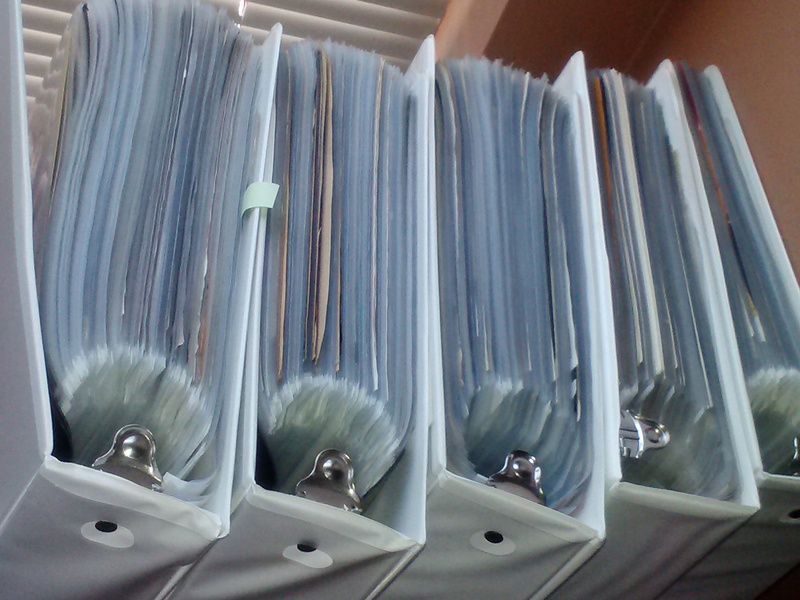 So, I grabbed a bunch of binders and spent months & months filing away the goods while tossing the fluff. 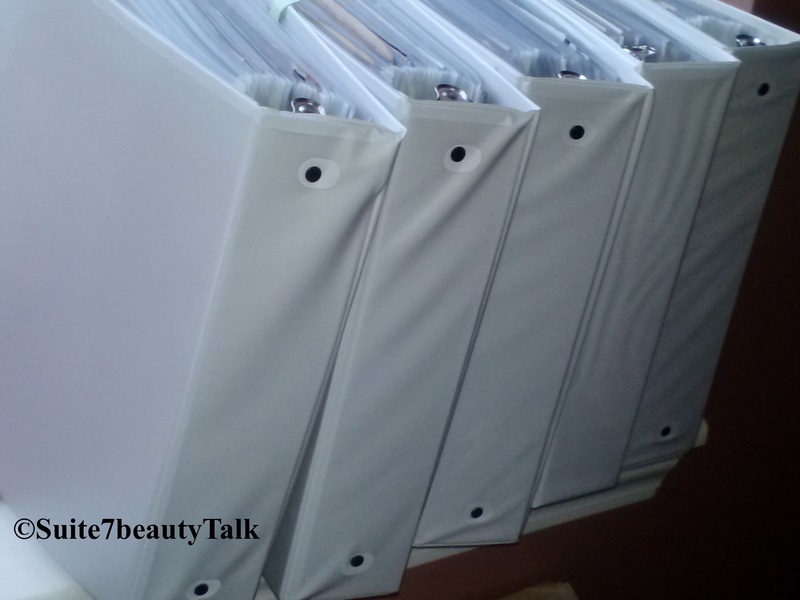 Half of the mag binders used to store all the articles/features that were worth holding onto – these guys are filled to the brim – and heavy. So heavy. Sadly, even as I ripped out worthy articles about the state of women’s rights throughout the world, inspiring stories about overcoming obstacles and beating the odds, and of course all the credible beauty tips & healthy eating info, I still had more pages to trash than to store… but that’s okay… because the experience forced me to remove the rose-colored beauty binders and realize how the magazine industry works. It’s a business, and at the end of the day, it’s about money and selling. The more they sell the more money they make and the more products they can influence us to buy, the better their bottom line. I get it, not hatin’ just no longer participatin’ is all.. I know that it doesn’t matter if fake lashes are used in the mascara ads. Doesn’t matter that celebrity images are altered to smithereens and young girls are influenced by it. Doesn’t matter that most of the celebrity beauty secrets don’t tell the truth but dish out a dumbed down reality in an attempt to make celebs more “relatable” so the average woman can see herself in their existence. It’s all agenda based, and although Pinterest, Tumblr, beauty blogs and online mags are now giving the ole’ page turning glossies a run for their money, they’ll probably never go away completely, nor should they. 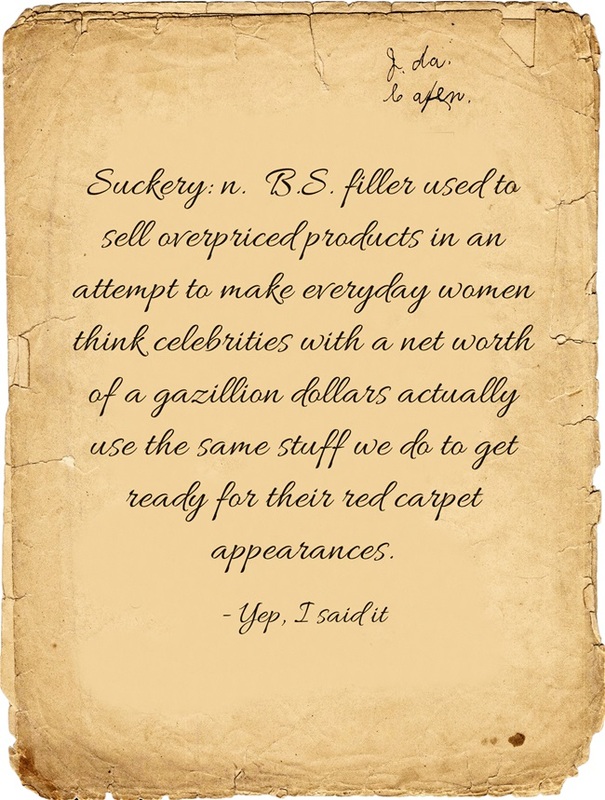 But one can only hope they somehow get better…..I’d love to subscribe to a magazine that features real answers about celebrity beauty regimens. I certainly don’t expect anyone with a net worth of 50 million to buy all her skincare needs at the drugstore. I mean really, is that too much to ask for? And if you should find yourself wondering which glossies deliver the best “goods”… In Style, Glamour & Shape get my votes…. more diversity would be a bonus too, but one thing at a time. Lol! Haha, you’re too funny! 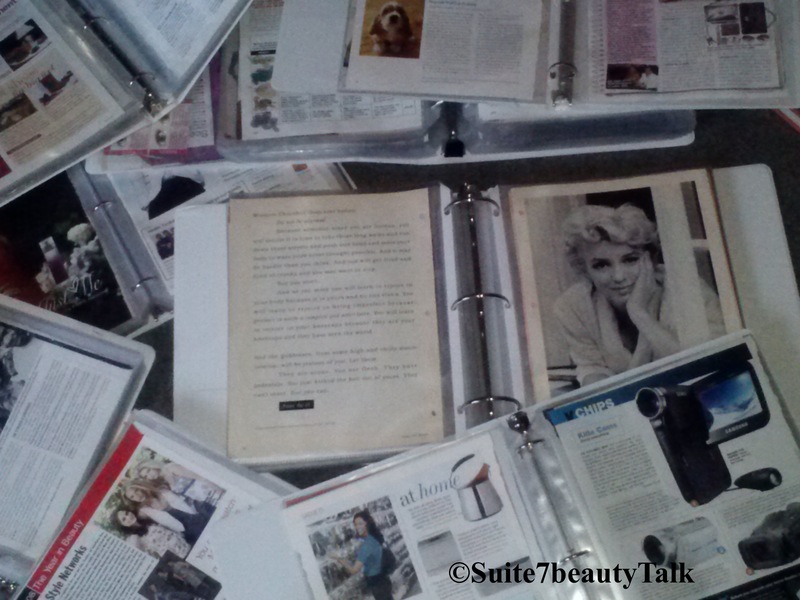 This entry was posted on November 10, 2013 by suite7beautytalk in Change, MUSINGS, Uncategorized and tagged advice, Hoarding, magazines, Organization.